This customer wanted an update that would keep with the over all look of the homes interior wood trims. 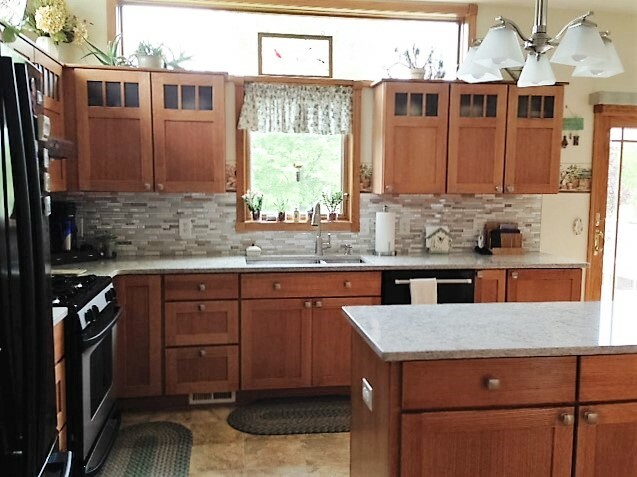 The customer also wanted to keep their existing flooring that was newer, this meant keeping the original floor layout of the cabinetry. This is a request we get often and is one of the things we can handle as an experienced remodeling team. 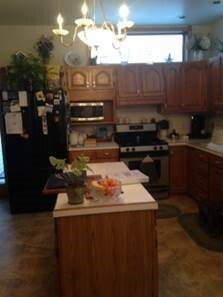 New custom cabinetry was special ordered and installed. New appliances, quartz counter tops and tile backsplash give this kitchen a more updated modern feel. 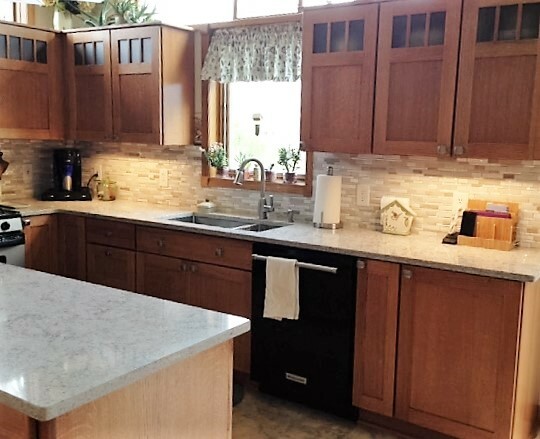 This was classified as a minor kitchen remodel as it was mainly remove and replace, but the cabinetry and countertops to up the larges portion of the over all cost closer to a midrange remodel cost.